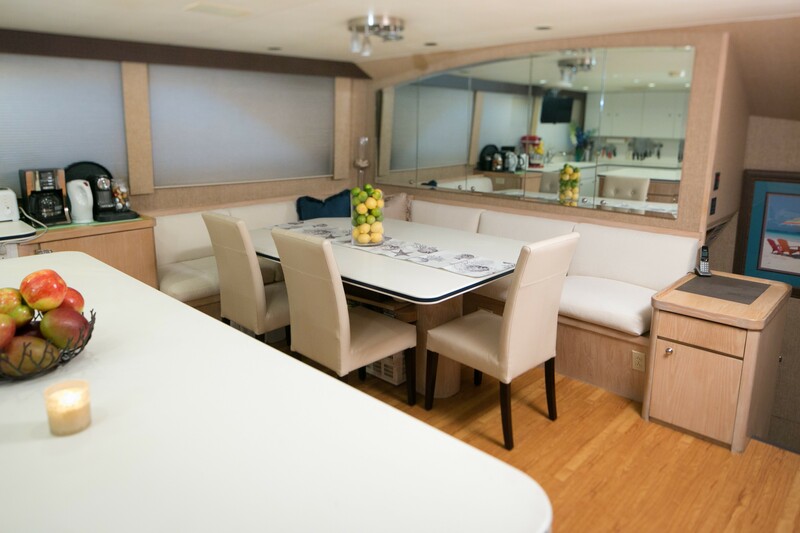 M/Y ISLAND TIME features a luxurious main salon which is nicely outfitted with a full entertainment centre with large flat screen TV. 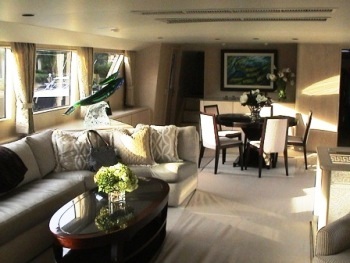 The formal dining area is located forward of the main salon seating area. 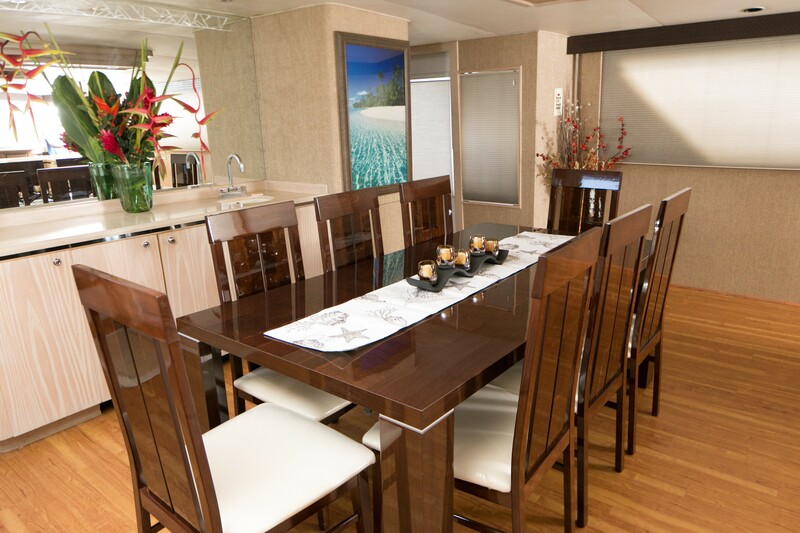 The Broward Marine motor yacht ISLAND TIME can accommodate up to 7 guests in 3 cabins located below deck. 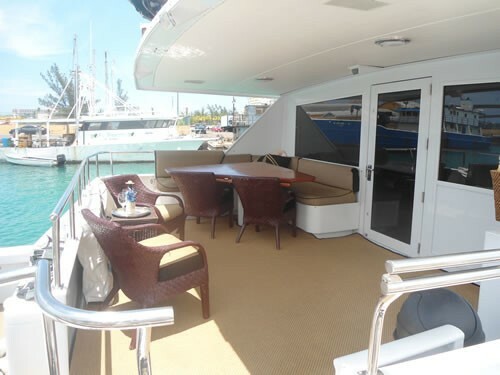 Her Master Stateroom is located amidships and is full width of the beam. 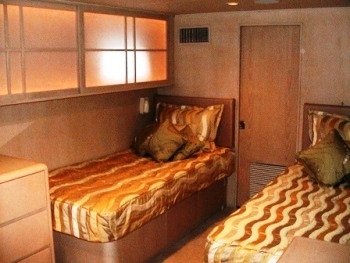 The master cabin features a King bed with ensuite bath His with shower and Hers with Tub. 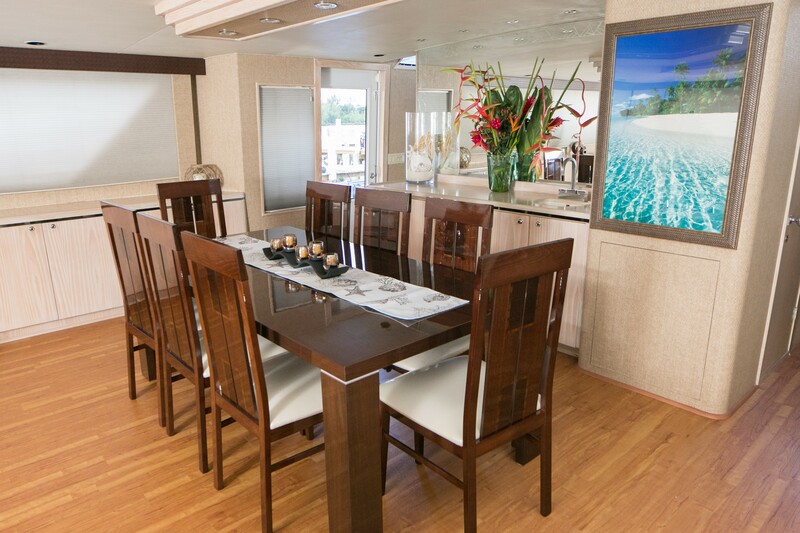 There is an entertainment center with a 40" Plasma screen TV/DVD/CD/AM-FM Stereo and a small refrigerator. 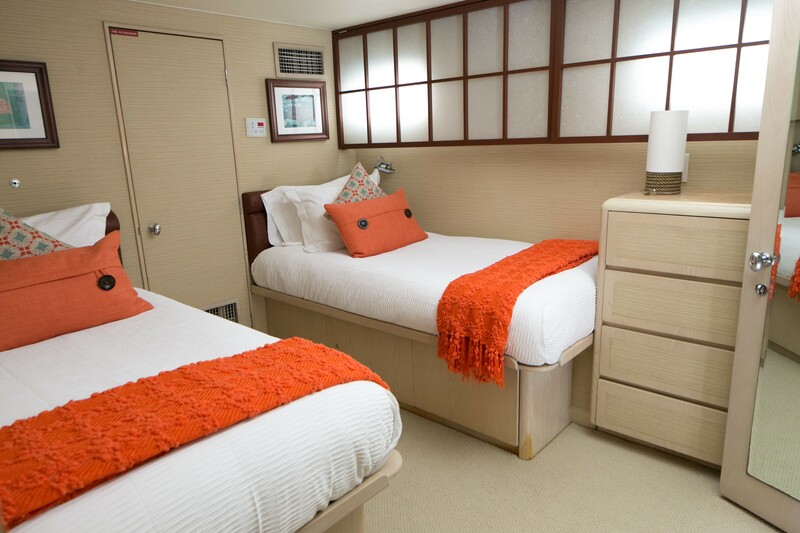 The VIP Stateroom is located amidships to the port with a Queen bed, ensuite bath w/shower, Entertainment center with a 20" Flat screen TV/CD/AM-FM Stereo. 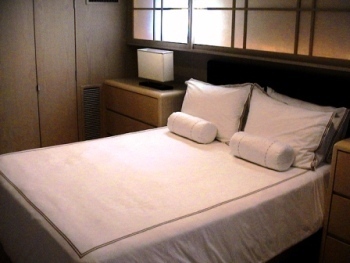 The Guest Stateroom is located amidships to starboard with Twin beds with pullman, ensuite bath w/shower, plus a 17" Flat screen TV/CD/AM-FM Stereo. 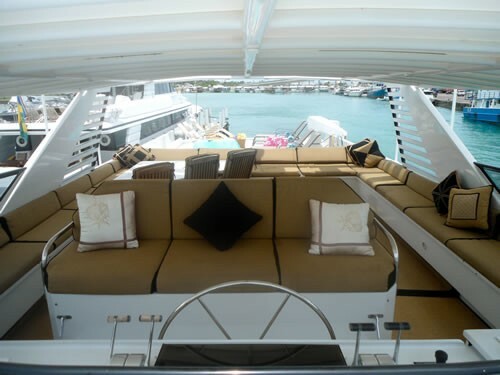 Onboard ISLAND TIME, enjoy the full spectrum of her extensive entertainment systems, including a large plasma TV, on the aft deck or take advantage of her water sports equipment which includes an 18' Novurania with 115 HP Yamahas, two 2 person SeaDoos, Fishing Gear, Snorkelling gear and Water Pull Toys. 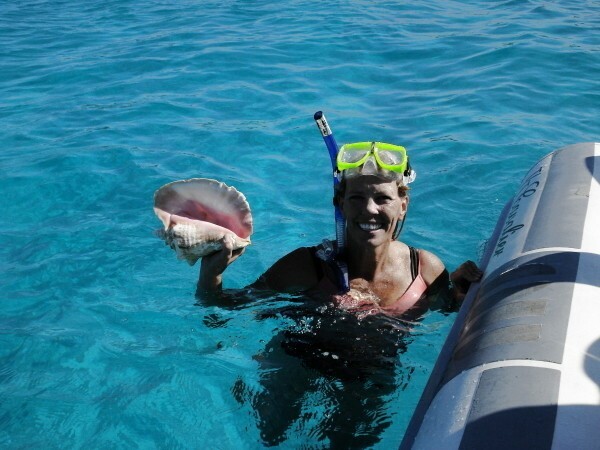 She also offers Scuba Diving for Certified Divers and has a Dive Compressor. 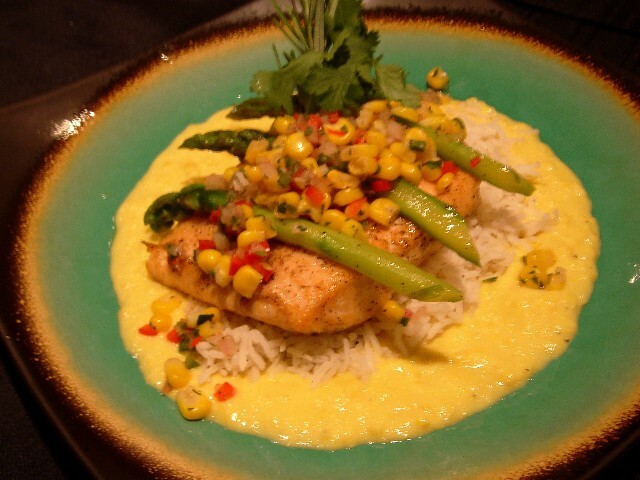 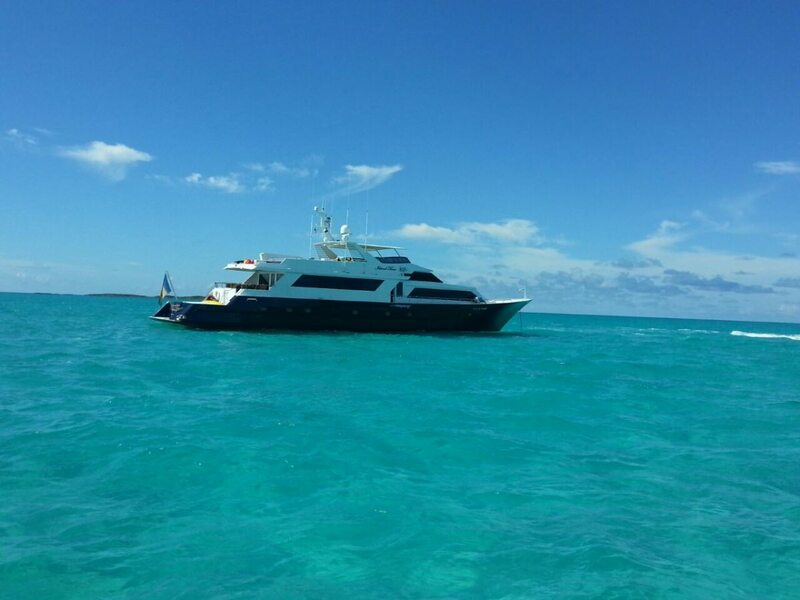 She is based in Nassau the Bahamas and has a crew of 3. 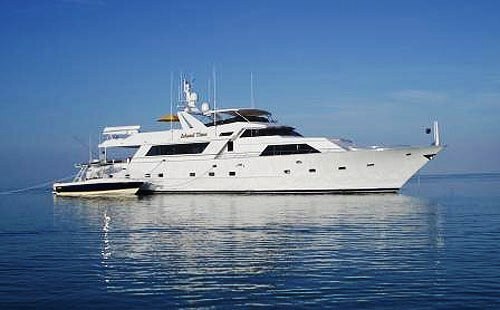 She can cruise at 10 knots with a top speed of 12.5 knots. 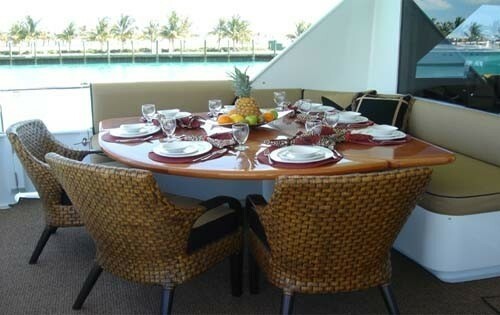 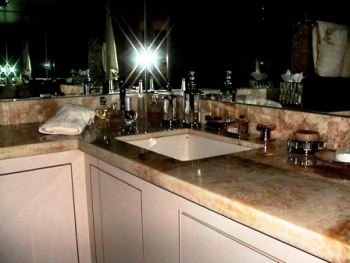 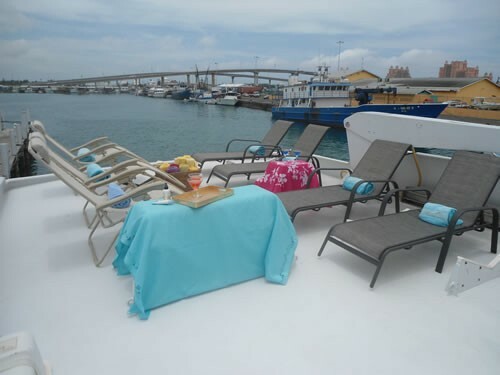 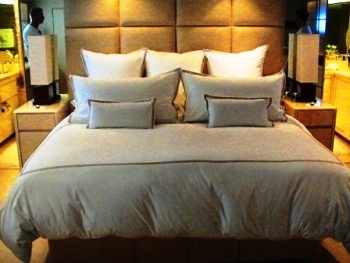 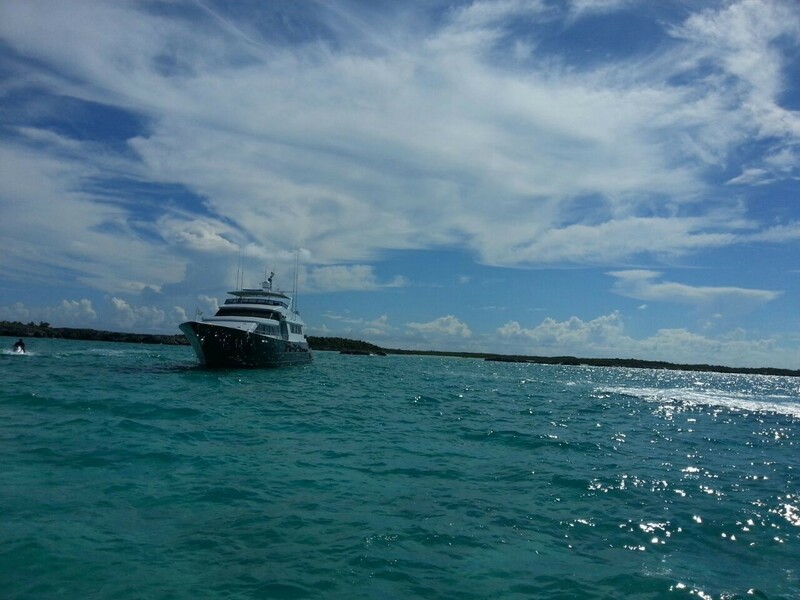 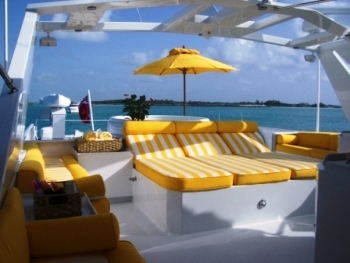 Broward Marine motor yacht ISLAND TIME can accommodate up to 7 guests in 3 cabins. 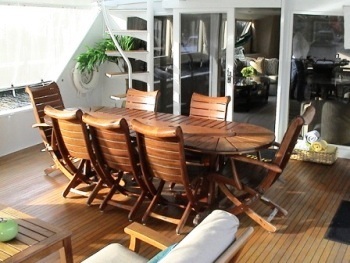 Her Master Stateroom is located below decks amidships and is full width of the beam. 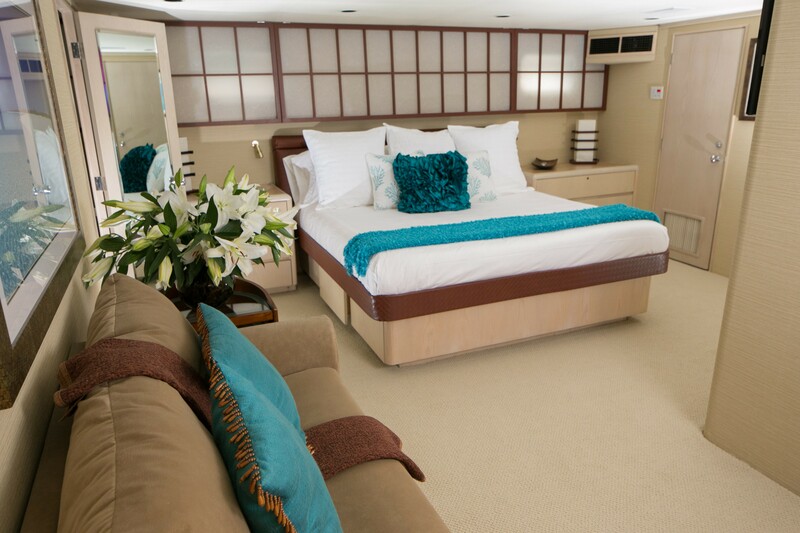 The master cabin features a King bed with ensuite bath His with shower and Hers with Tub. 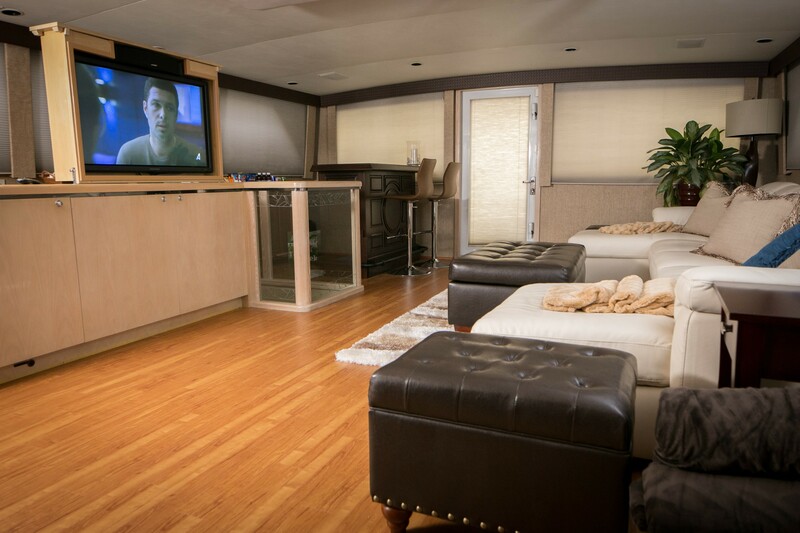 There is an entertainment center with a 40" Plasma screen TV/DVD/CD/AM-FM Stereo and a small refrigerator. 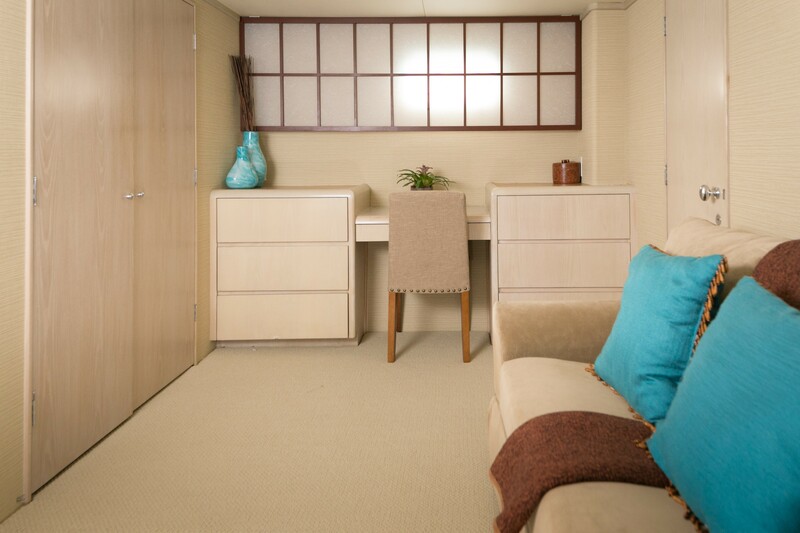 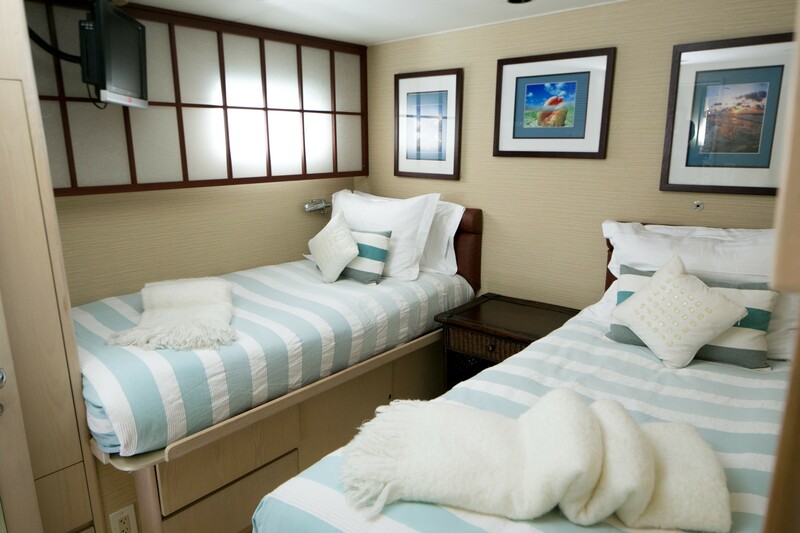 The VIP Stateroom is located Below deck amidships to the port with a Queen bed, ensuite bath w/shower, Entertainment center with a 20" Flat screen TV/CD/AM-FM Stereo. 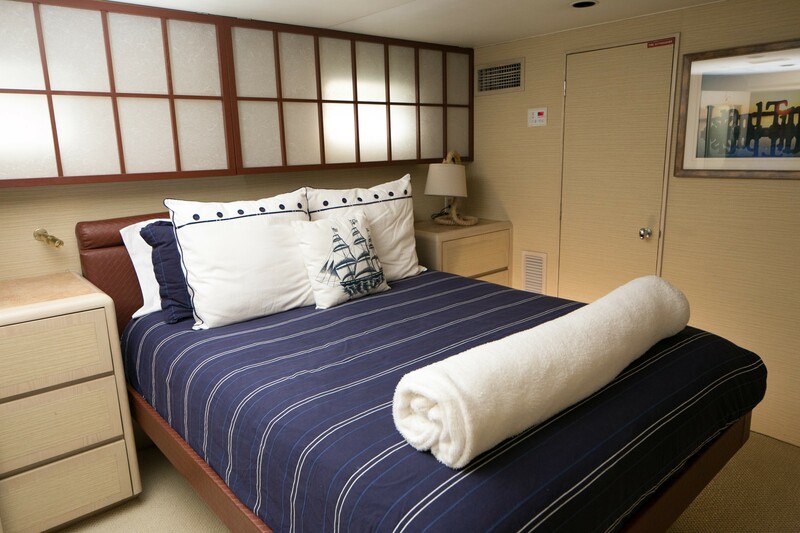 The Guest Stateroom is below deck amidships to starboard with Twin beds with pullman, ensuite bath w/shower, plus a 17" Flat screen TV/CD/AM-FM Stereo. 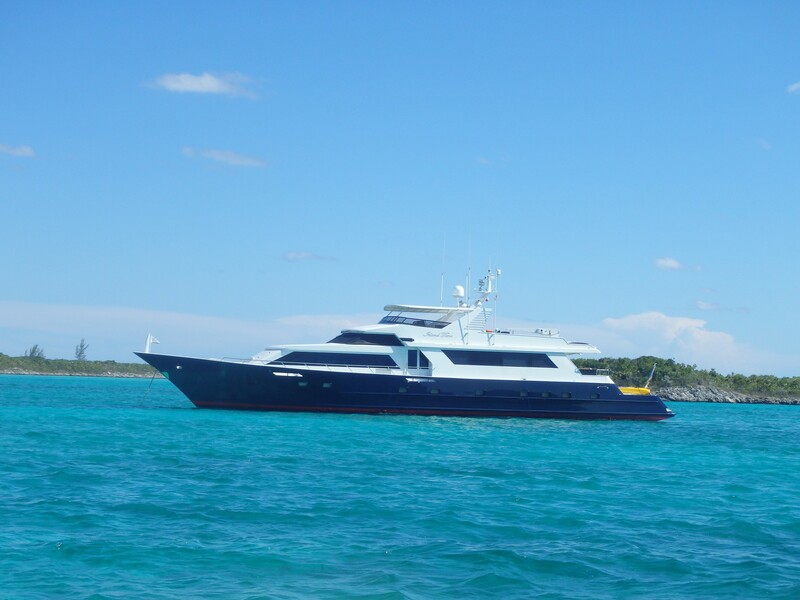 Tenders & Toys on board motor yacht ISLAND TIME include an 18' Novurania with 115 HP Yamahas, (2) 2 person SeaDoos, Fishing Gear, Snorkelling gear, Water Pull Toys, Scuba Diving for Certified Divers only, Dive Compressor, Helicopter (available for charter - inquire). 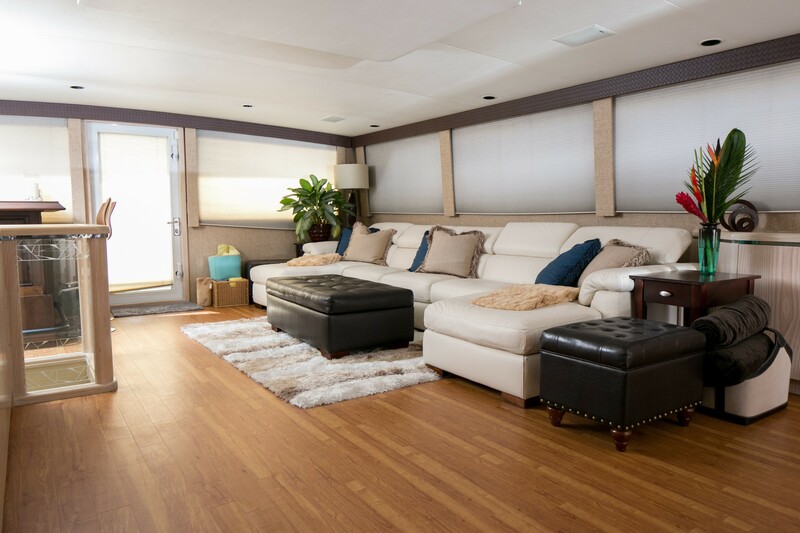 Communications include a Satcom, Cellular phones throughout, Shore line.